I’ve been a Julie Verhoeven fangirl for a long old time, so needless to say I love these pieces she’s designed for MAC. 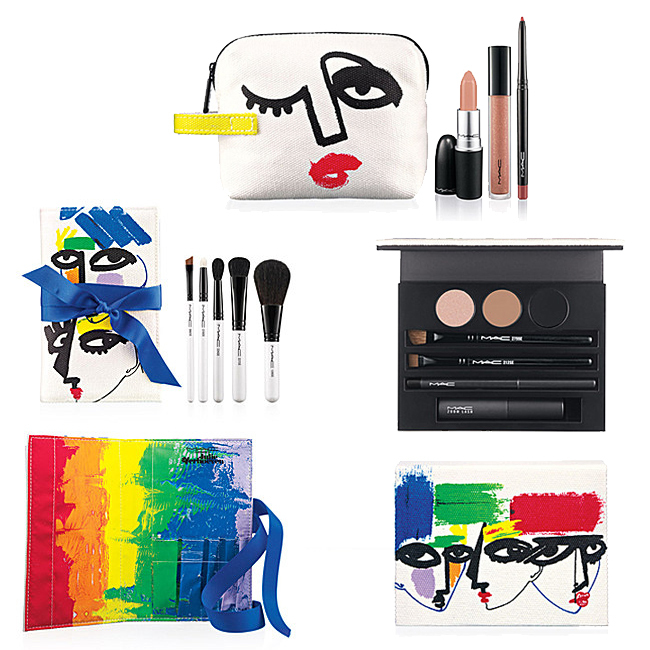 The Illustrated range comprises two brush kits, two smoky eye palettes (one purple and one black) and four lip pouches which each contain a lipstick, gloss and pencil. I have no business buying makeup and I especially have no business buying makeup brushes – I seem to get them pretty regularly because I’m a sucker for nice packaging, but am definitely a finger-painting person when it comes to actually applying most things. But but but… that rainbow wrap is soooo nice. Maybe it could encourage me to make better use of my existing brushes? Maybe I could store pencils and felt tips in it? Maybe I could keep my top-drawer stash of stolen canteen cutlery in it? Available at Selfridges and MAC stores now, from £31.